Travon had a nice game to start his big league career. 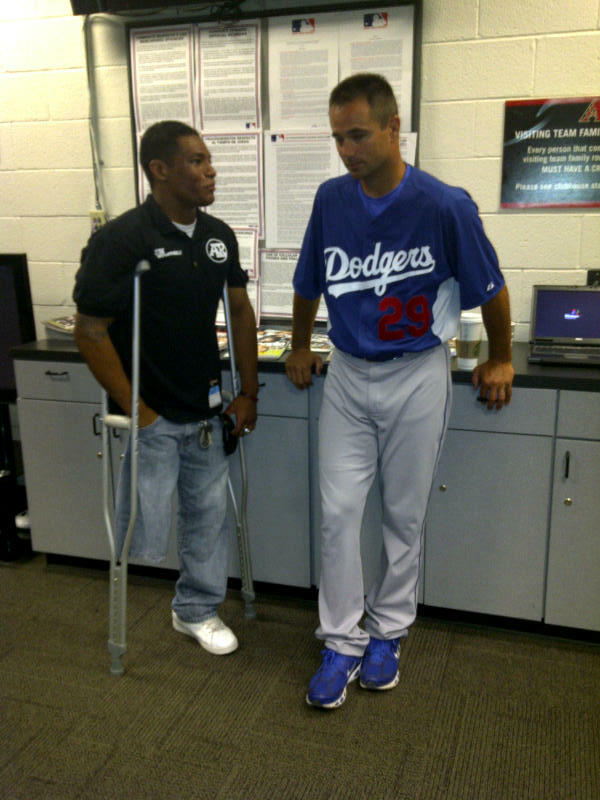 Saw him last night on Dodgers Live and, Anthony, is truly a remarkable young man! Anthony Robles’ story is interesting because he does not believe he is at a disadvantage. First game, TR makes highlight reel robbing Angels of 2-run HR in left field. Also singles. Second game, TR HR over the center field fence. Another stellar giveaway by Ned! But Ned says Dodgers need catchers. I wonder why? Could it be that he’s been giving them away in worthless deals?? What the Dodgers actually desperately need is a new owner and a new GM!!! Check out http://outsidethedodgers.wordpress.com/2011/08/07/unacceptable/ to see what other Dodger fans think about this situation.